LOCAL Government Election is constitutionally due by November and already work has begun to secure constituencies which may have felt some levels of neglect since 2015. One such area is Pt Fortin which last year witnessed the closure of its economic main stay, Petrotrin and resultant job losses of thousands. Despite this, Pt Fortin Mayor Abdon Mason says the outlook for the borough this year is good and among priorities will be the completion of the Pt Fortin Area Hospital and continuation of the highway extension to the borough. “Based on a conversation I had with the MP for the area, Housing Minister Edmund Dillon who continues to work very assiduously on behalf of the people, I anticipate some good things would be taking place this year,” Mason said. “I am hoping to have release of funds in a timely manner so as to effect physical infrastructural work that we have planned for the year. In the first instance, we want to complete the Guapo Pavilion and Guapo Recreational ground. We are hoping to see some work advanced on the Techier Community centre and we are also hoping to see work continue both at the Point Fortin Hospital and Mahaica Oval projects. “All of this to ensure that our burgesses receive the kind of representation required and deserved.” Mason said he is looking forward to Local Government reform being put into effect to make the delivery of services more efficient. Reflecting on the withholding of services by taxi drivers several times last year over the poor state of the main road, Mason said this matter is now in the hands of both MP Dillon and Works and Transport Minister Rohan Sinanan. 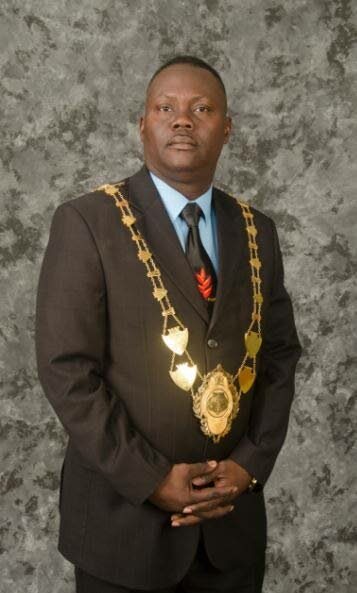 Mason who is in the midst of his first term as Mayor, said he will continue to offer himself to serve the country and his party, the ruling People’s National Movement (PNM), but reminded that it is solely up to PNM political leader and Prime Minister Dr Rowley to determine if he would continue in his present position after Local Government Elections. “I would continue to make myself available. I think I have laid a foundation, if not to continue, then for other people to continue. I have laid the tracks,” Mason said. Reply to "Mayor predicts goodyear for Pt Fortin"